There are lots of reasons to be excited: Connected cars, wearable devices with seamless on-demand connectivity and Smart Cities are just a few of the new opportunities available to us by connecting devices to the internet. Everyday objects and smart gadgets have the potential to enhance our way of living and revolutionise numerous aspects of our lives in a variety of different ways, from the office, to our home, and even to our cars. But before drawing benefit from these “things”, we need to turn them on first. We’ve been using SIM cards for decades, and they’ve been getting smaller and smaller as technology has advanced. The challenge with SIM cards is they’re fundamentally designed for the world of mobile – one connection, one contract, one engagement with your mobile operator. This is still perfect for the world of the mobile phone, but in the IoT – with devices that might not need to be always connected, with connections that might be moving from one country to the next as a connected component on an airplane or a tracker on a parcel… it’d be helpful to be able to change connectivity provider dynamically. The key to unlocking this ‘on-demand’ connectivity is the embedded SIM (eSIM). It is a reprogrammable SIM that comes in different shapes and sizes. It can be removable or soldered into the device. It offers new features that are useful for everyday consumers and allows devices and machines in industries like automotive and wearables to connect to the Internet through the mobile. The embedded SIM is crucial to unleashing the connected devices market and will be mandatory for some new devices, for example a car, which might stay active for a very long time and change users repeatedly in its life. In addition, a soldered eSIM allows manufacturers to protect it against things like dust and water, making it more robust and resistant, and in devices such as a smart watch it allows for more space, meaning devices can become smaller and smarter, and improve things like battery life which benefit the consumer. The eSIM is very smart and allows an end user to change mobile operator through a simple download. So, if a contract on one network is finishing, and they’d like to swap to a new operator for a better deal, they could do so themselves, without visiting the operator’s shop. No more swapping SIM cards! For a manufacturer, such as Sony Mobile, Remote SIM Provisioning means being able to get rid of the physical SIM tray, allowing for slimmer, sleeker devices. For industry, this is very useful, as it’s possible to put the eSIM in a machine, and protect it from heat or being bashed about by soldering it to the other computer chips. Then the owner can update his or her settings remotely, saving time swapping the cards, and ensuring that the SIM cannot be damaged. The opportunities presented by eSIMs are huge for consumer electronics, mobile network operators, automotive companies and industrials, and provide the key to unlocking the Internet of Things. For example, Microsoft is bringing eSIMs and On-Demand-Connectivity to the next wave of Windows 10 devices, making On-Demand-Connectivity a feature of the world’s most widespread computer operating system. On demand connectivity means that the mobile device ecosystem is no longer limited to mobile phones. It opens new possibilities and allows OEMs to develop new user experiences. It allows operators to diversify connectivity services, expand into connected cars, industrial routers, drones and wearables, all of which can be powered by cellular connectivity under a single contract. There are a number of ways in which this could change our lives. Connected cars will become commonplace on the roads within the next ten years, with the driver’s role becoming less and less important, as more autonomous features are built in. However, the progress of self-driving cars relies on the provision of seamless connectivity. These connected modules will be able to curb vehicle emissions, optimise engine efficiency, and improve driver safety by monitoring engine performance and providing real-time feedback to drivers via a dashboard display. By ensuring peak performance, vehicles can become more efficient and safer. 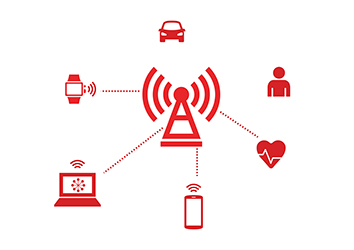 With on-demand connectivity wearables are going to be more powerful in the future, thanks to embedded SIMs and remote SIM provisioning. For instance, watching television on a smartwatch could become commonplace, as could making a phone call via connected jewellery. Users will be able to connect and make calls or access internet services with their portable devices without having to take their smartphone with them, or committing to multiple monthly subscriptions with a connectivity provider. Businesses will benefit from the increase in data, enabling them to better engage with consumers and provide a personalised, customer-centric service. Companies will be able to better track behaviour and respond to users’ needs, offering targeted advice and rewards. In addition, organisations that embrace the IoT can make more intelligent decisions, thanks to being able to evaluate risks more effectively and benefitting from more accurate market projections. 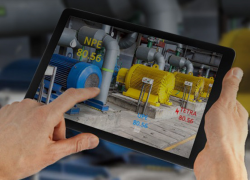 On-demand connectivity and embedded SIMs will be crucial in powering the connected world of the future, although it’s important the right standards are in place to be able to bring a seamless connectivity experience to the end consumer. The possibilities being created by the IoT seem endless, with on-demand connectivity providing the key, and it is set to have an enormous impact on our lives over the next few years. It’s an exciting time – technology has the ability to transform the world as we know it, creating new opportunities, and making our lives more convenient than ever before.